Launched, 22 May 1945, at Gulf Shipbuilding Corp, Chickasaw, AL. 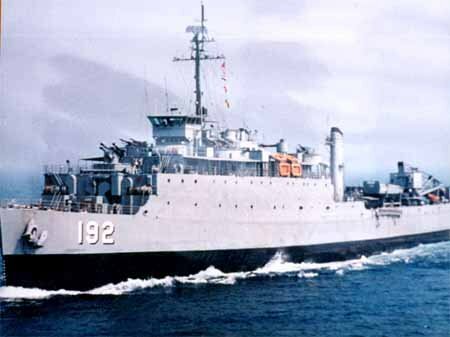 Decommissioned, 13 February 1970, at Naval Station Bremerton, WA. 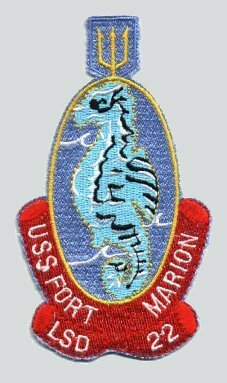 226k USS Fort Marion (LSD-22) emblem was officially adopted in 1961, and had been in use for some years previously. 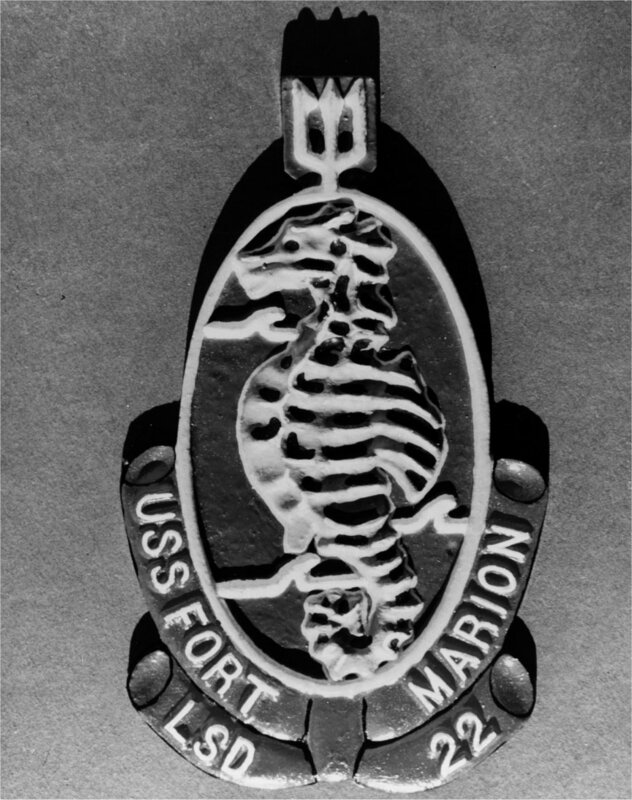 The symbols of the seahorse, the trident, represent the ship's function as a cargo carrier, with the three-fold mission to transport, land, and support the amphibious force. 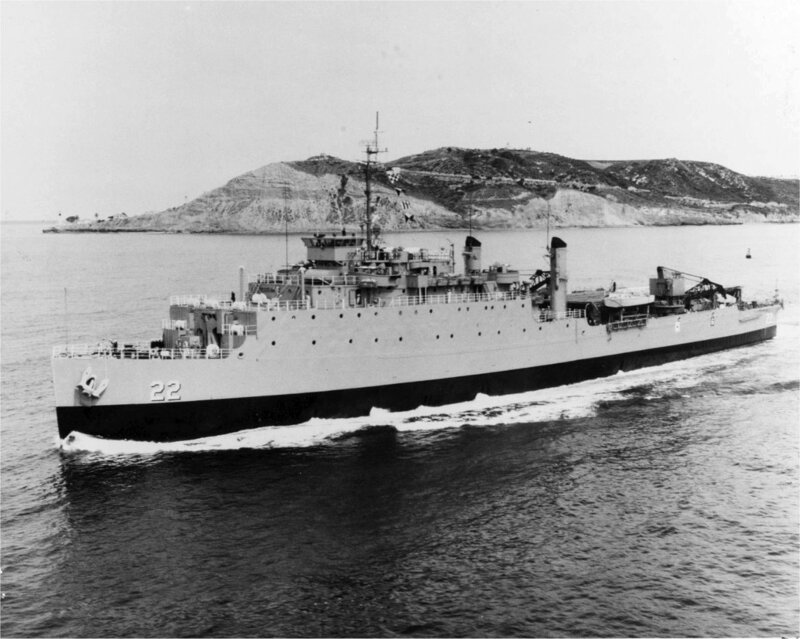 166k USS Fort Marion (LSD-22) at anchor in San Diego bay, date unknown. 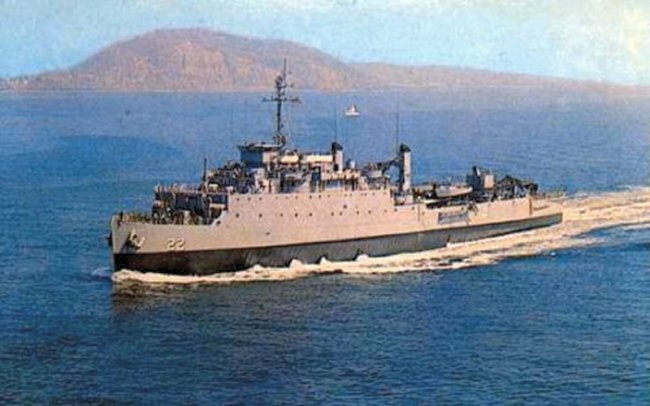 196k USS Fort Marion (LSD-22) out bound to sea from San Diego, CA., circa 1969. Photo was released for publication, 8 October 1969. 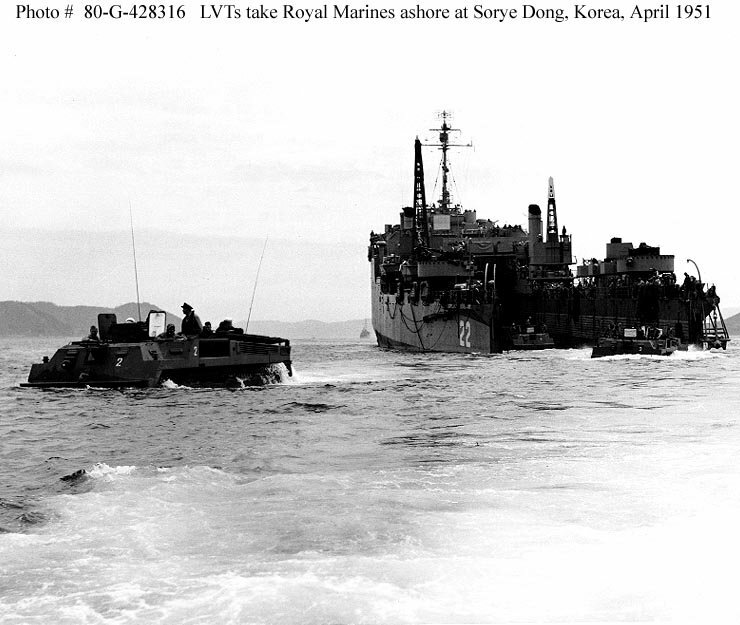 84k LVTs embarking British Royal Marine commandos leave USS Fort Marion (LSD-22) for the beach at Sorye Dong, North Korea, on 7 April 1951. The commandos blew up about 100 yards of railroad, in an effort to interdict enemy logistics, and were then successfully reembarked. 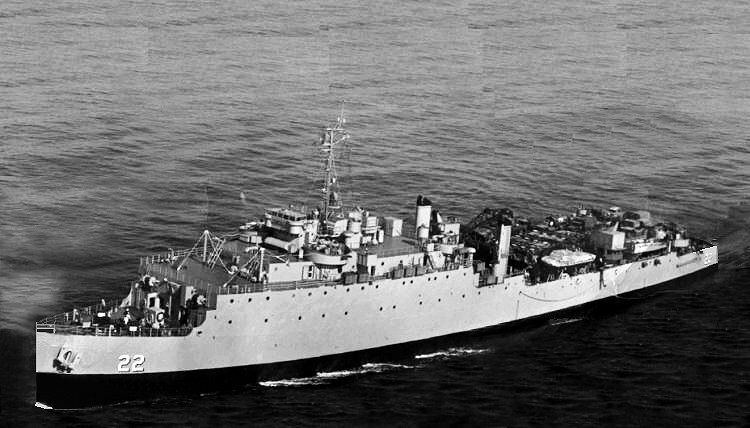 95k USS Fort Marion (LSD-22) underway, date and location unknown. 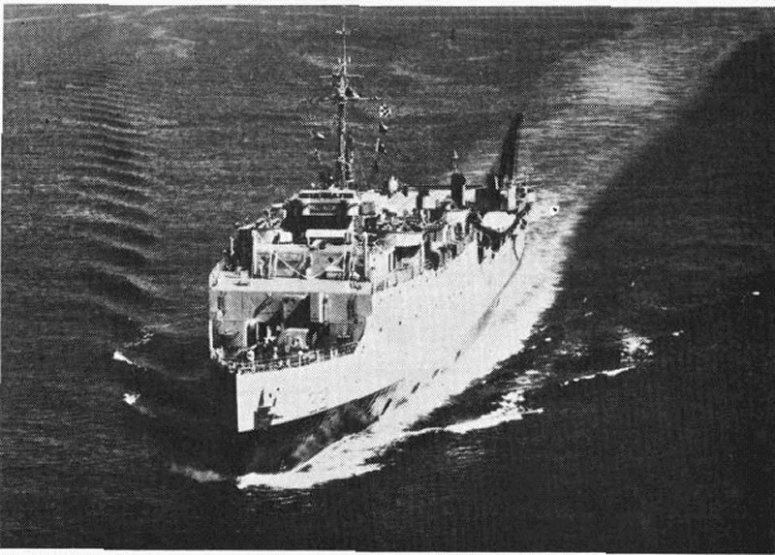 US Navy photo from "All Hands: magazine November 1958 Joe Radigan MACM USN Ret. 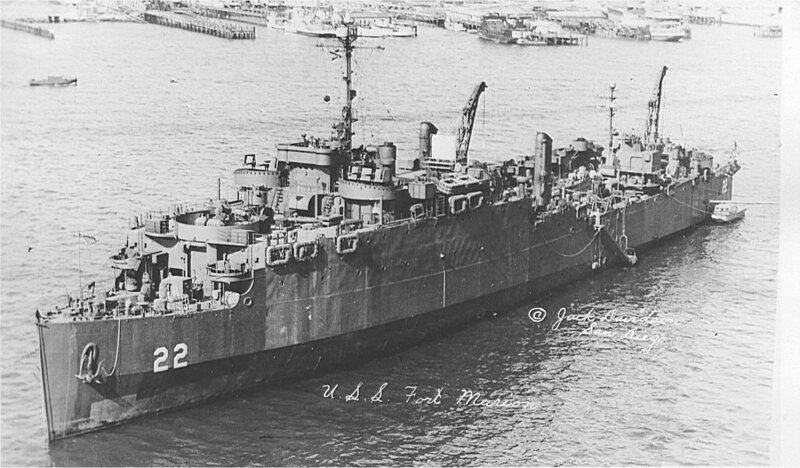 30k USS Fort Marion (LSD-22) at anchor, date and location unknown. 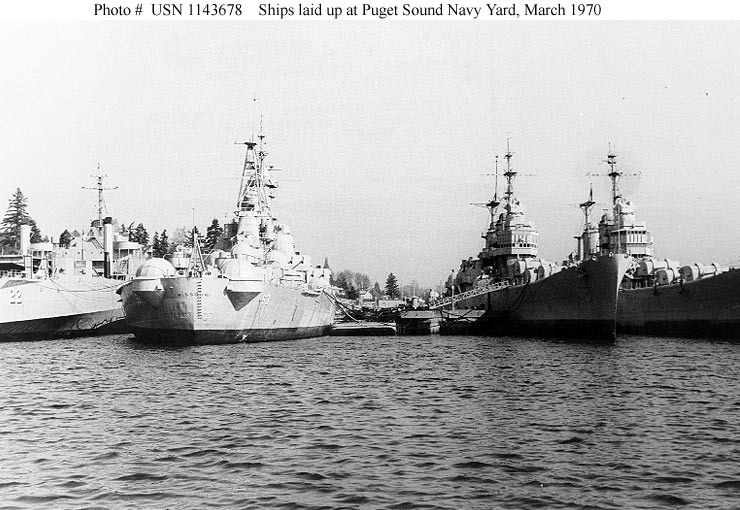 95k Puget Sound Naval Shipyard, Bremerton, Washington - Ships laid up in reserve at Bremerton, 19 March 1970. 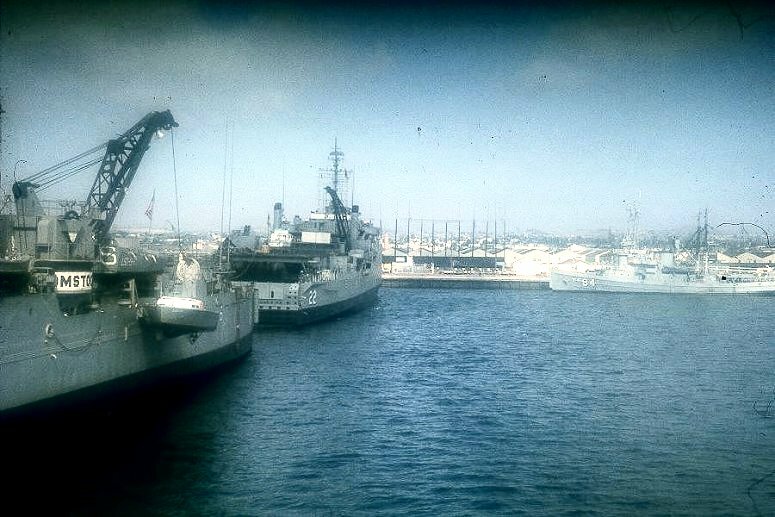 They are, from left to right: USS Fort Marion (LSD-22), USS Missouri (BB-63), USS Roanoke (CL-145) and USS Worcester (CL-144). 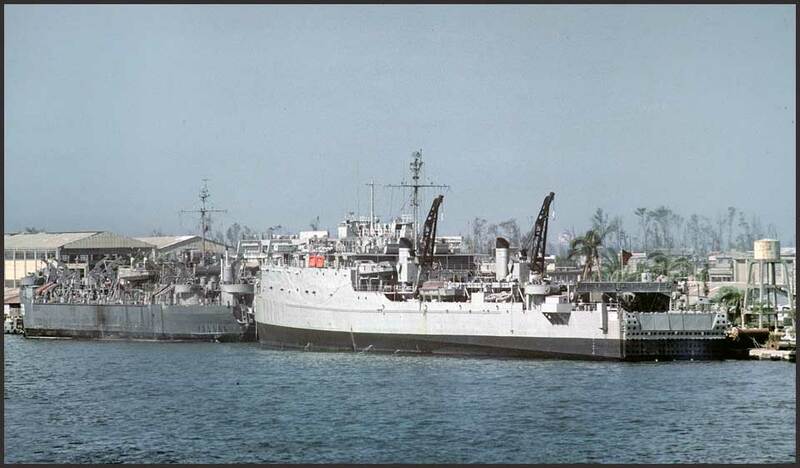 60k ROCS Chen Hai (LSD-192) moored pierside at Kaohsiung, Taiwan, 9 September 1977. 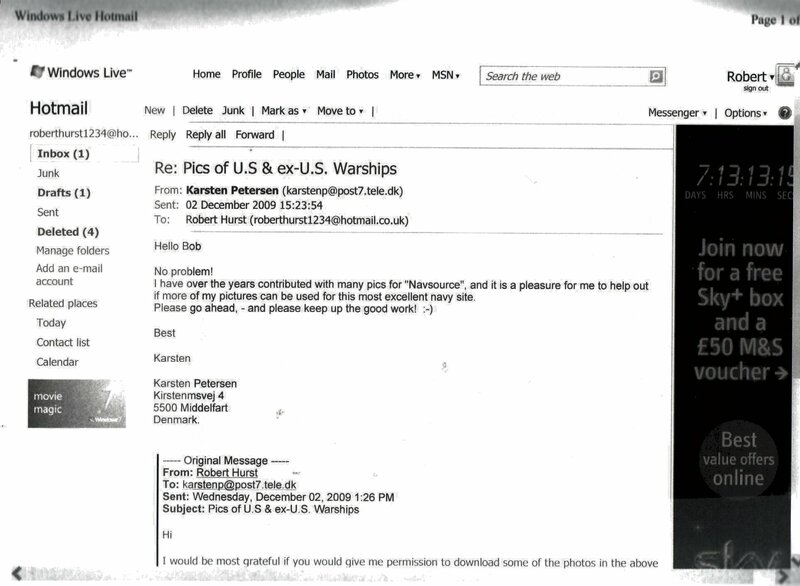 The LST moored forward of Chen Hai is unidentified.